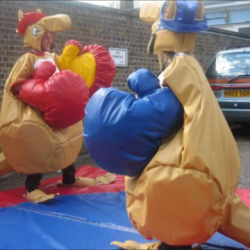 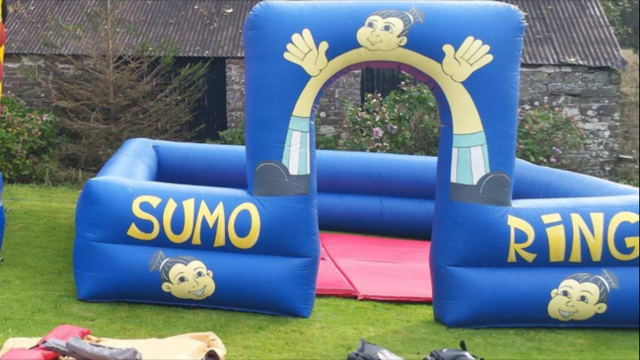 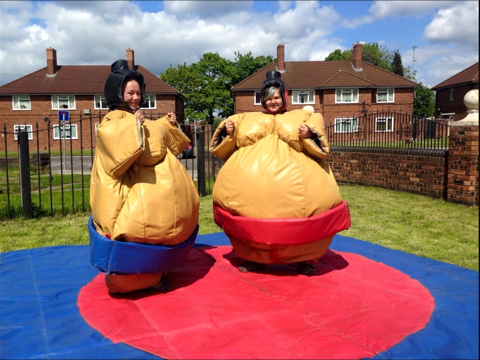 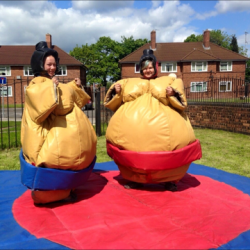 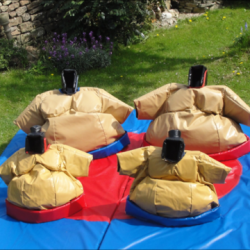 Adds great fun to any occassion with a choice of Children’s & Adults sumo Suits available to hire. 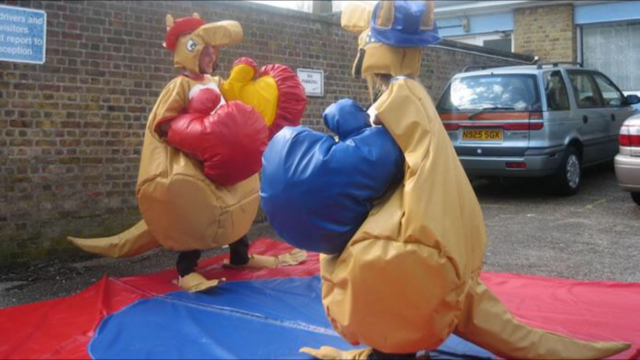 Fantastic for a Australian & Hawaiian nights. 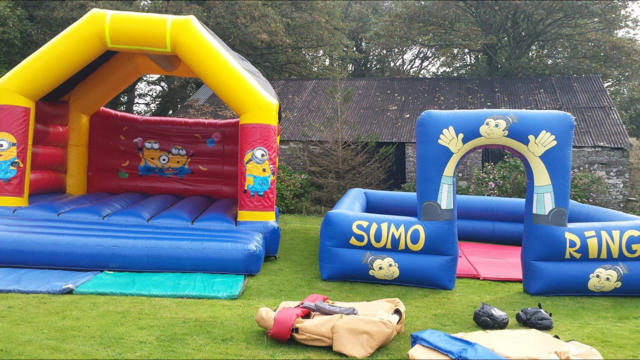 Inflatable Super sumo wrestling ring is an optional extra. 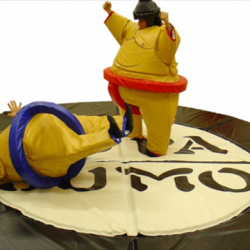 This is an inflatable that fits around the sumo mat. 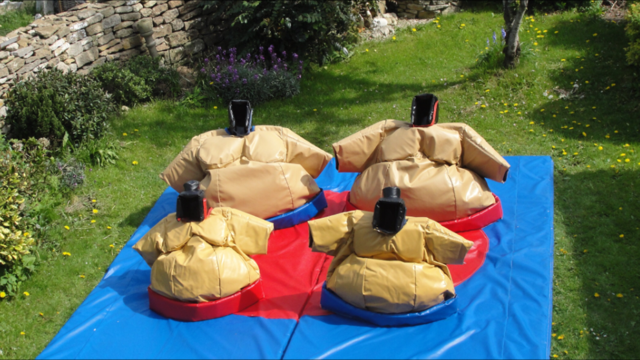 This ensures game play stays on the mats only. 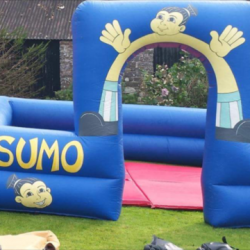 For the hire of this inflatable would be an extra £45 when hiring sumo suits from ourselves. 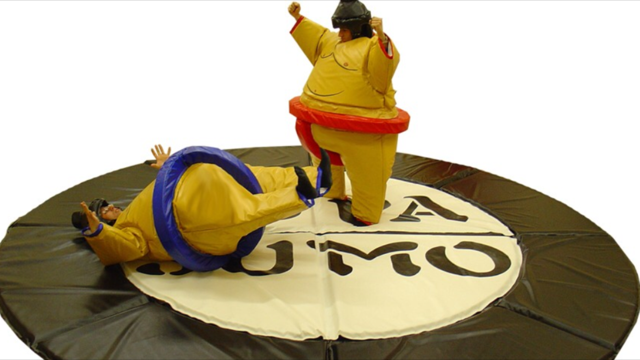 All sumo’s come with neck braces, safety mat & protective Sumo Helmets. 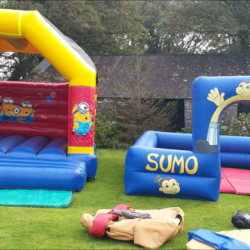 We do offer discounts when hiring multiple items.